Yesterday, December 2, 2015 the state of Texas brought suit against the federal government and the International Rescue Committee (IRC), before the United States District Court in Texas Health and Human Services Commission V. United States et al., 12/2/15. In its suit, the state of Texas claims that the federal government and the IRC acted unlawfully in their attempt to resettle Syrian refugees without prior consultation and direct cooperation with the state of Texas, as required by federal law. The lawsuit was brought by the Texas Health and Services Commission (THSC) representing the interests of the state of Texas in court. The THSC is an agency responsible for the administration and development of the refugee resettlement program in Texas. The state of Texas discovered in a phone call with the IRC that the Committee intended on resettling 6 Syrian refugees in Dallas, Texas on December 4, 2015 without consent. On December 1, 2015 Texas addressed the Committee in a letter requesting a halt to the resettlement of Syrian refugees until the state would receive security assurances and discuss proper screening procedures for said refugees. The IRC responded on December 2nd that it would continue the resettlement process as planned resettling the refugees in Texas. In its suit, Texas aims to re-assert its sovereignty and obligation to protect the safety of its residents. Texas claims that the government’s failure to adhere by the law has raised legitimate security concerns involving potential complicity between refugees and terrorists. According to the suit, Texas presently accepts more refugees than any other state at a figure of 10%. 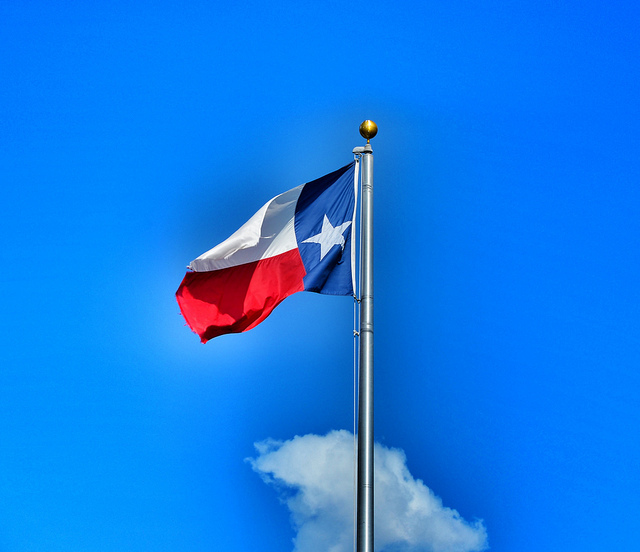 Texas claims that the government breached the statutory requirement 8 U.S.C. § 1522 in its efforts to resettle Syrian refugees by failing to consult regularly with Texas regarding the resettlement program to discuss the sponsorship process and intended distribution of said refugees throughout Texas. Additionally, Texas claims that local voluntary agencies tasked with financial sponsorship were not in close cooperation with the state and advance consultation was not provided before activities took place. For this breach in the law, Texas is asking for declaratory and injunctive relief from the District Court. According to the state of Texas, declaratory and injunctive relief is necessary because the federal government 1) prevented Texas from receiving vital information to assess the security risk posed by the refugees in advance of their arrival, and 2) refused to consult with the State in advance on placement of refugees in Texas. Security concerns regarding the refugee crisis began to surface when the House of Representatives pledged overwhelming support for the American Security Against Foreign Enemies Act of 2015 (American SAFE Act of 2015) which requires Syrian and Iraqi refugees to undergo additional security checks as a precautionary measure against terrorism. The American SAFE Act would require 1) the Director of the FBI to certify that a background investigation had been conducted for each refugee and 2) the Secretary of Homeland Security, the FBI Director, and Director of National Intelligence to provide a monthly report to Congress tracking background investigations and refugee admissions. The Director of the FBI recently notified Congress that the federal government is unable to conduct effective security checks on Syrian refugees. The Assistant Director of the FBI’s Counterterrorism Division explained that FBI databases lack the information necessary to conduct adequate security checks. Amid these recent revelations, Texas has been reluctant to move forward with the Syrian resettlement program due safety and security concerns for residents of Texas. We will provide updates on this lawsuit as developments unfold. To read the complete lawsuit click here.